Staying hydrated isn't just a matter of drinking enough water, especially if you've been sweating in hot, humid weather or you've been engaging in strenuous activity. When you sweat, not only do you lose fluid from your system, but you also excrete essential minerals, known as electrolytes. In addition to replacing lost fluid, you need to replace your electrolyte content. Electrolytes are minerals that carry an electric charge inside your body and can be found in your body's fluids, including urine, sweat and blood. Keeping your electrolytes balanced with your fluids is essential for good body chemistry, healthy muscle action and other daily physical processes. Electrolytes include calcium, sodium, potassium, phosphate, magnesium and chlorine. You receive your electrolytes through your diet, but in cases where you need significant rehydration, beverages that contain water as well as electrolytes are key. The most basic rehydration drink that contains electrolytes is one made with water, salt and sugar. This mixture is especially useful because the dry ingredients can be packaged ahead of time to be used as needed. An oral rehydration solution is good for replacing fluids lost due to diarrhea. The most basic combination is drinking water mixed with a 10-1 ratio of sugar to sea salt. Instead of sugar, you can also use a natural sweetener, such as honey. Stir the drink until the salt and sugar are fully dissolved. To make it taste better, add some fresh mashed fruit, such as banana or mango, to the mix. You can also leave in fresh slices of other fruits, such as apples, lemons or limes, to gently flavor the drink. If you are adding fruit, store the solution in the fridge. A citrus-based drink is a good source of electrolytes after a strenuous workout, and the slightly sour taste helps mask the salt and sugar in the liquid, making it a truly refreshing drink. 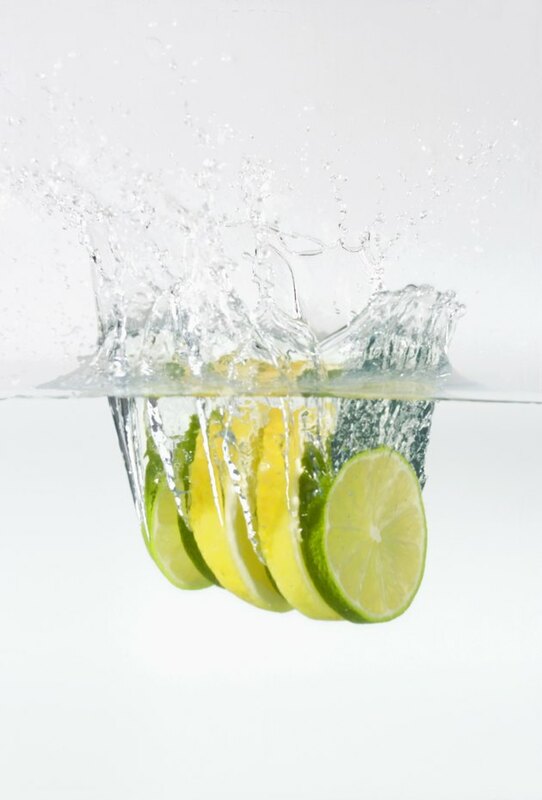 Use a 1-3 ratio of any citrus juice -- orange, lemon, lime -- to drinking water. Add just a pinch of sea salt and roughly 12 times the amount of either sugar or a natural sweetener, stirring to mix the ingredients thoroughly. The drink is ready when the sugar, sweetener and salt are fully dissolved. Double or triple the amounts to make more, storing it in a sealed jar in your fridge so it is ready when needed. Signs of dehydration include low blood pressure, white fingertips, a fast heartbeat and skin that takes longer to return to its normal shape after you pinch it. Even if you are just sweating, you can become dehydrated if you do not drink enough fluids to replace what is lost. Other causes of dehydration that also require electrolyte and fluid replacement include kidney complications, diarrhea or vomiting. Symptoms of low electrolyte levels include dizziness, nausea, tiredness, muscle cramps or twitching muscles. If you experience any of these symptoms for a prolonged period and electrolyte-rich rehydration does not alleviate them, you need to seek medical treatment.